High-end debut. 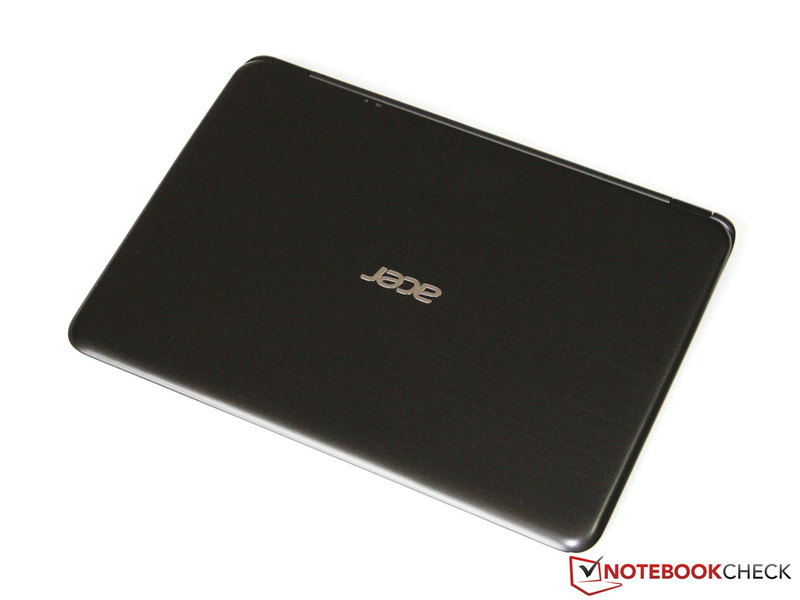 With the 1500 Euros (~$1927) ultrabook Aspire S5, Acer wants to attract customers in the luxury segment. In order to achieve this, the manufacturer sets on fast hardware, fine materials, and a couple of interesting features. Is this enough to put pressure on the established competition? 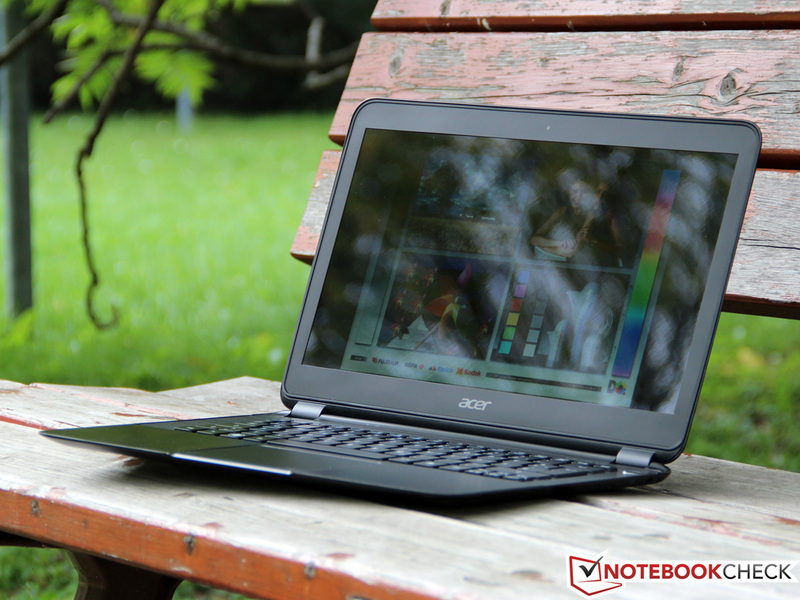 For many customers the name Acer stands for rather simple and inexpensive notebooks that have little to do with the term "high-end". Meanwhile, the Taiwanese manufacturer changes its strategy: the lower price segment is to be covered by the daughter company Packard Bell, while Acer strengthens its position as a premium supplier. In order to develop a certain reputation in this area, correspondingly high-quality and expensive products are needed. 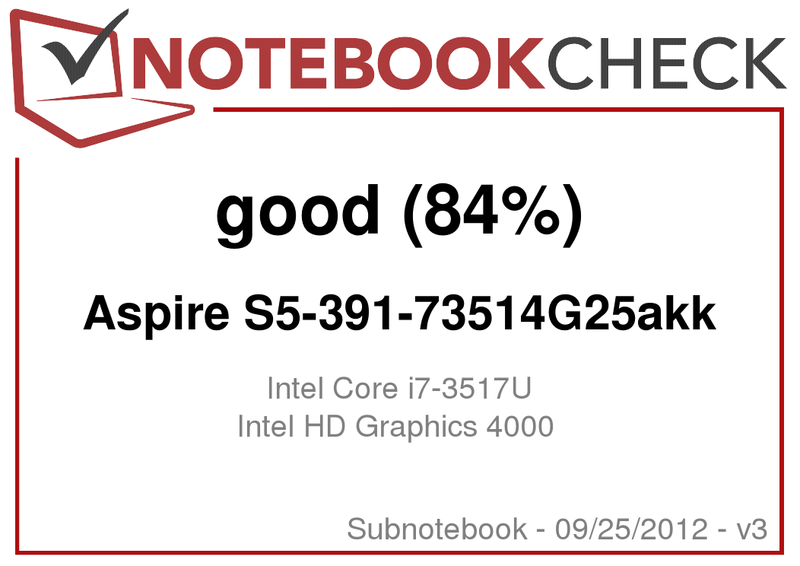 It so happens that we have, at 1500 Euros (~$1927), the most expensive notebook of the current Acer portfolio under the microscope, namely the ultrabook Aspire S5-391-73514G25akk. 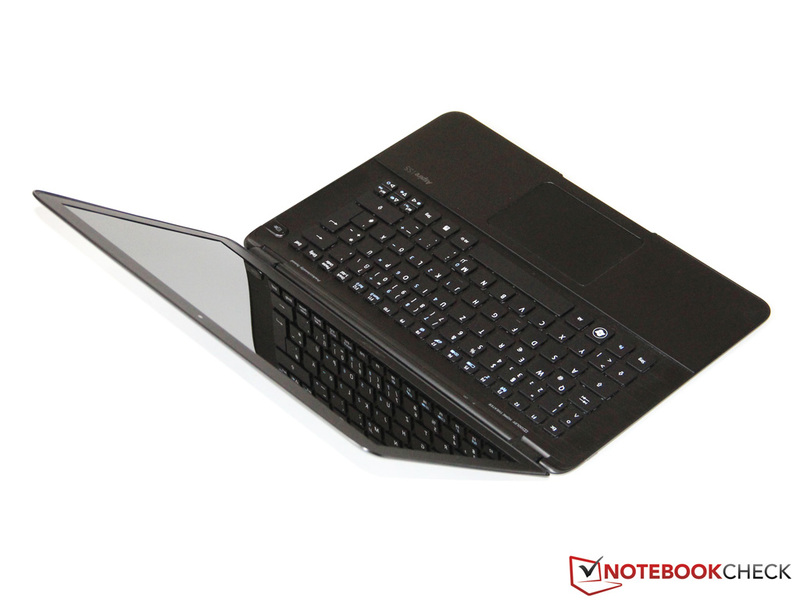 The 13.3-inch lightweight notebook relies on Intel's Ivy Bridge, using either Core i7-3517U or i5-3317U. Our top model features not only the faster i7 processor, but also a high-performance SSD RAID with 256 GB capacity. The amount of system memory (4 GB) as well as all the other specifications is identical for both versions of the notebook. 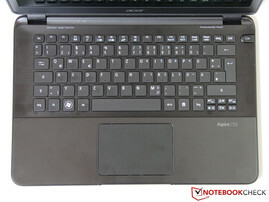 There is no shortage of high-end competitors: we want to compare the Aspire S5 above all with the Asus UX31A and the Samsung 900X3B (review of the successor 900X3C to follow) - the leaders in our Subnotebook-/Ultrabook-Rank list - and to answer the question of whether or not the price is justified. Rounded corners and matte-shiny surfaces, a simple design with few accents: the look of the Aspire S5 is somewhat restrained and boring, although the first quality impression is convincing. Here and there, the ultrabook reminds us of the significantly cheaper Aspire S3, although the materials are noticeably better. Aluminum and magnesium replace the simple plastic of the entry-level model. Thanks to this lightweight material, Acer has managed to reduce the weight down to 1.2 kg, and lower the height to 15 mm (Aspire S3: 17.8 mm). 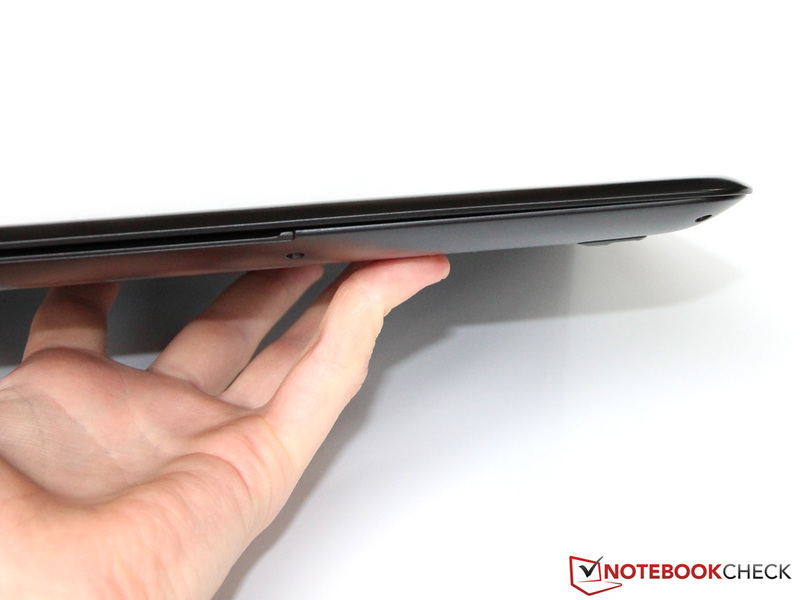 The mobility requirements of an ultrabook seem to be extensively covered, even if there is room for improvement in the details: a narrow display bezel, like in the Samsung 900X3B, would have enabled an even more compact appearance. 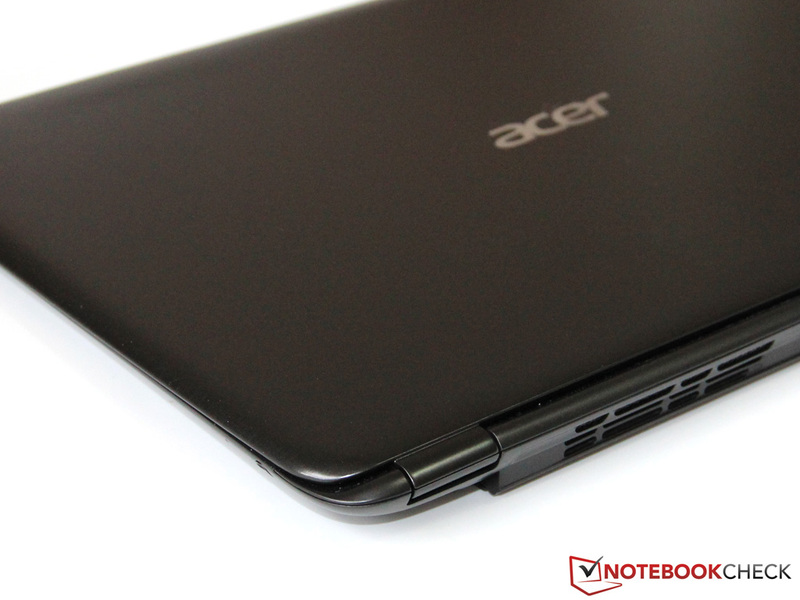 Despite the delicate construction, Acer has managed to increase stability over the Aspire S3. The housing is almost completely pressure resistant and only slightly gives in above the keyboard. Somewhat less good, but still proper is the torsional rigidity: both the base unit and the lid can be twisted a few millimeters with moderate force - this poses no problem in practice, but it doesn't show the highest quality. There are also a couple more, mostly minor, points of criticism: the vibrating display hinges or the somewhat rattling right palm rest (possibly a fault on our test unit). Other than these, there are no complaints about the workmanship. 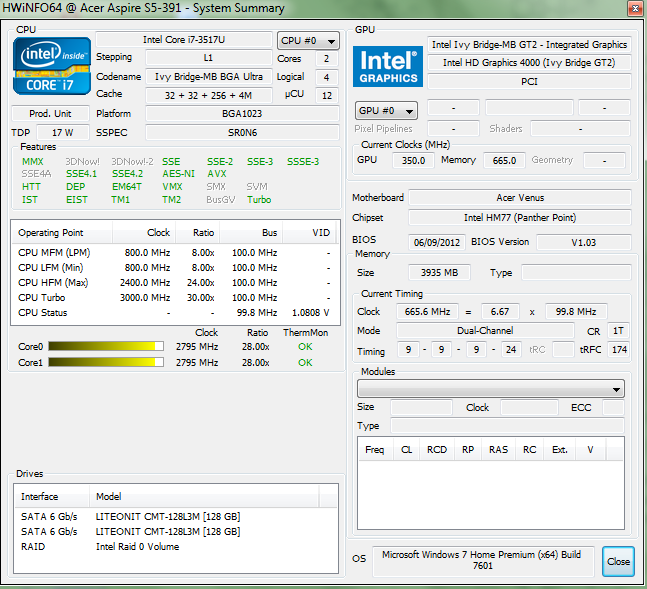 All of this leads only to a good, but not excellent, score in this discipline for the Aspire S5. Unfortunately our test candidate is missing the latest fine touches, which the Asus UX31A or the Dell XPS 13 have. 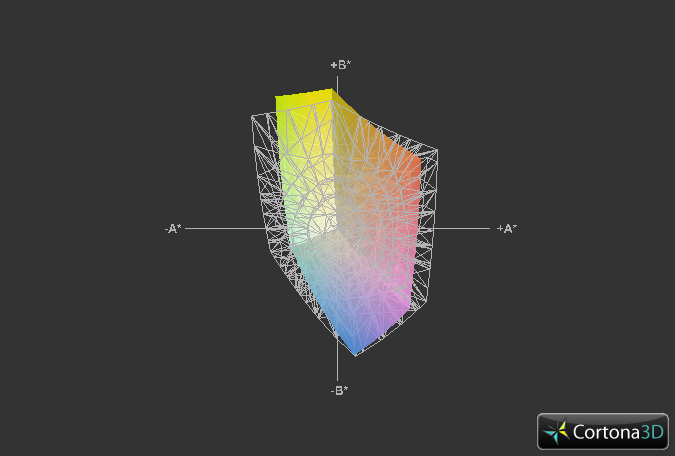 With the cases becoming thinner and thinner, the question where to place to interfaces arises. Here Acer has chosen an unconventional way: some ports (excluding the AC jack) are hidden in the housing and can be revealed via a button, when the user needs them (in this video). In principle, this is an elegant solution that does not hinder either mobility or connectivity. But the implementation by the manufacturer is a different story: the integrated electric motor works with a loud buzzing noise and makes us wonder if this gadget will not fail in a couple of years. Also: the "Magic Flip I/O" opens automatically under load, because in addition to the interfaces, it houses the air vent of the notebook. In addition to the two USB 3.0 ports the Aspire also features an HDMI (VGA adapter is included) and the versatile Thunderbolt port - an absolute rarity in current notebooks, except for a couple of Apple models. We also find a side-mounted card reader (SD, MMC) and the obligatory headset jack. Both of these are quite well positioned, in contrast to the somewhat difficult to reach rear ports. Given the lack of LAN port - a Thunderbolt adapter can be used instead - the connection to the internet and other computers is limited to WLAN. 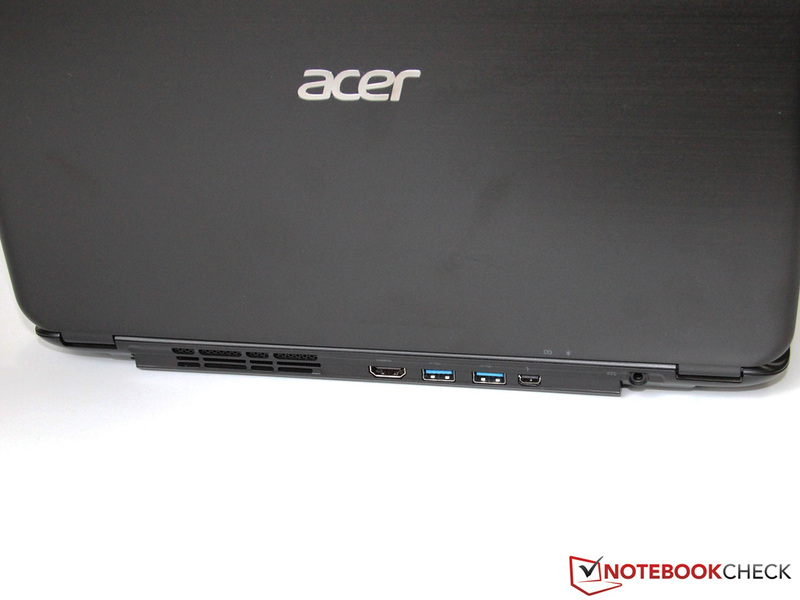 Acer promises compatibility with IEEE 802.11a/g/n, thus supporting the usual 2.4 GHz band and also the 5 GHz band. In our test (2.4 GHz, 150 MBit/s data rate) the Aspire S5 convinced us with high transmission rates even at higher distances. 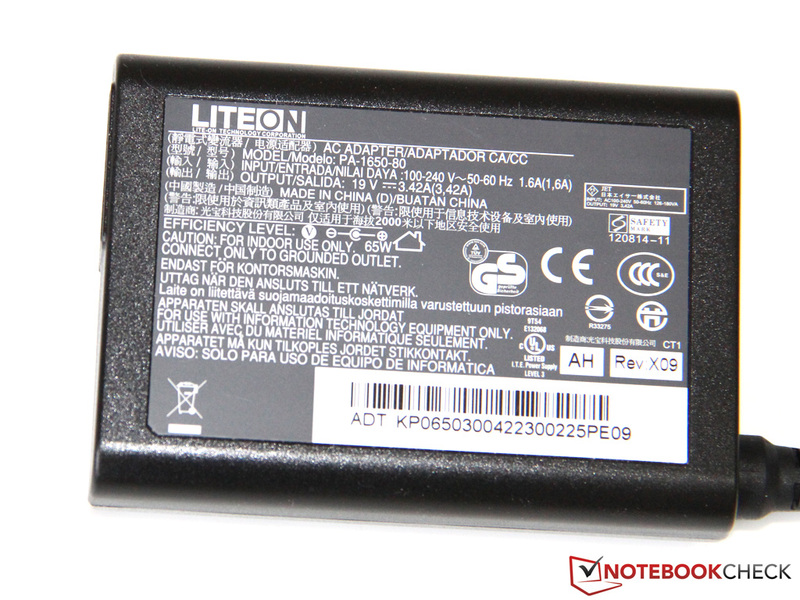 While Bluetooth 4.0 is among the standard features of the notebook, WWAN (UMTS or LTE) is generally not available. The 1.3 megapixel webcam is available to take photos and videos, unfortunately with lower picture quality. 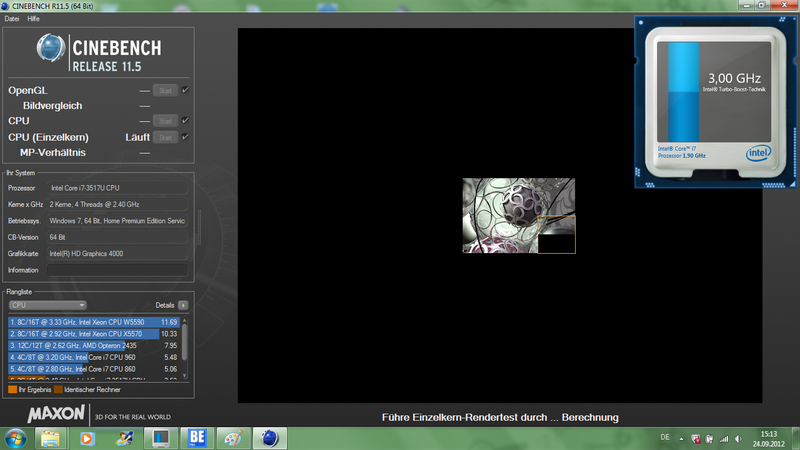 In addition to the lack of sharpness, the sensor also disappoints with visible noise and pale colors. For VoIP applications such as Skype, it is more than enough though. The same goes for the integrated microphone. In terms of the accessories, Acer seems unusually generous: in addition to the 65 W power supply, in the box we find a Bluetooth mouse, a polishing cloth (essential for a black case) and the already mentioned HDMI-VGA adapter. Given the lack of an optical drive, the manufacturer does not need to include a physical recovery media, but instead has pre-installed backup software. The software package also includes the encoder CyberLink MediaEspresso and a couple of demo versions, which - with the exception of the McAfee anti-virus - do not bother the customer with annoying activation requests. 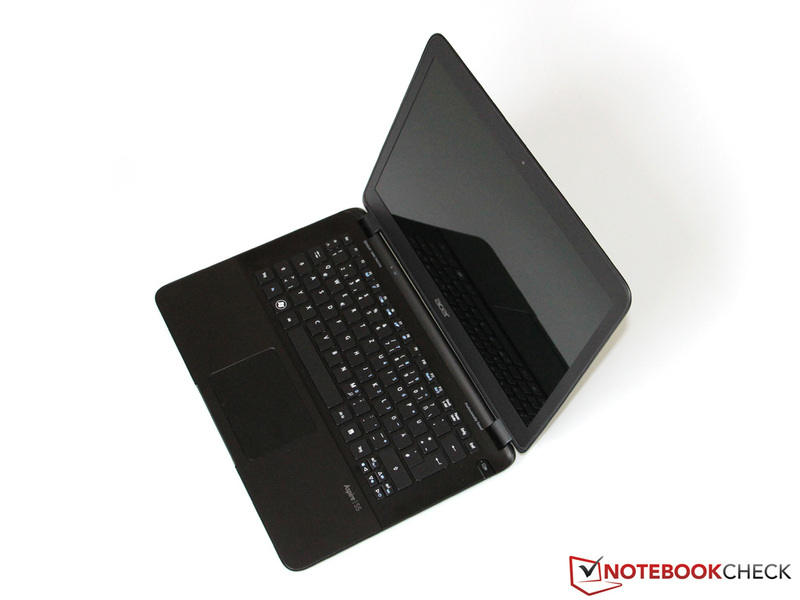 Like most other ultrabooks, the Aspire S5 offers only limited maintenance options. Loosening the screws on the bottom allows for the removal of the palm rest, which hides the integrated battery. Removing the keyboard proves a bit more difficult (probably secured by retaining tab), which is why we did not further disassemble our test unit. According to the manufacturer, the upgrade of the system memory is not possible and the 4 GB module is integrated - thus we advise against opening the devices. Acer provides the customer with 24 months of Collect & Return Service, which means that in case of a fault, the devices will be collected, repaired, and then returned. 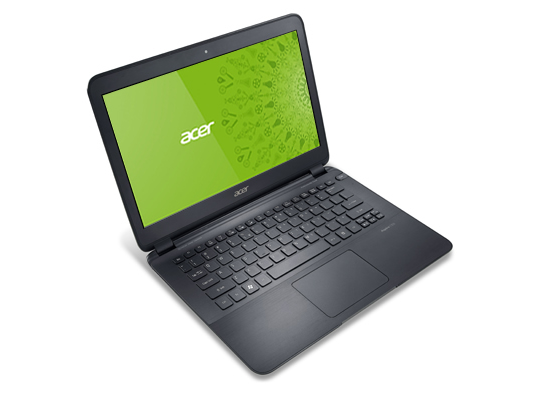 Additional service packages go under the name "Acer Advantage" and are offered by different online retailers; an extension to 3 years costs the very reasonable 60 to 80 Euros (~$77 - $102). 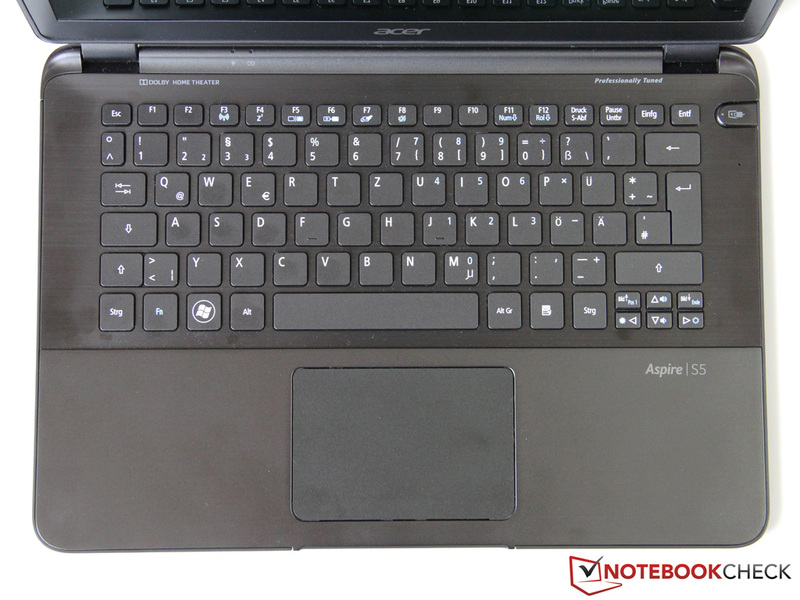 The black chiclet keyboard of the Aspire S5 is very similar in terms of appearance, layout, and writing feedback to the Aspire S3; a very similar or even identical model has been used. Apart from some peculiarities such as the relatively small keys (arrow - only 11 x 7 mm, letters - 14 x 14 mm) the keyboard corresponds to the usual standard in this class. Also typical for an ultrabook is the short stroke, which thanks to the crisp, medium firm pressure point, does not carry any weight. In order to achieve an even better typing experience, Acer should eliminate the already minimal wobbling, which is noticeable only with very vigorous keystrokes, in the middle of the keyboard. 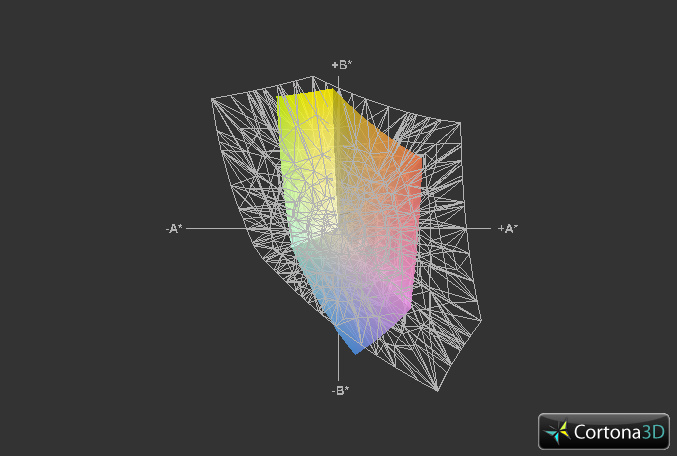 We would also like a differentiable structure of the keys. The noise level remains low even at higher typing speed and shows no signs of rattling or other annoying noises. 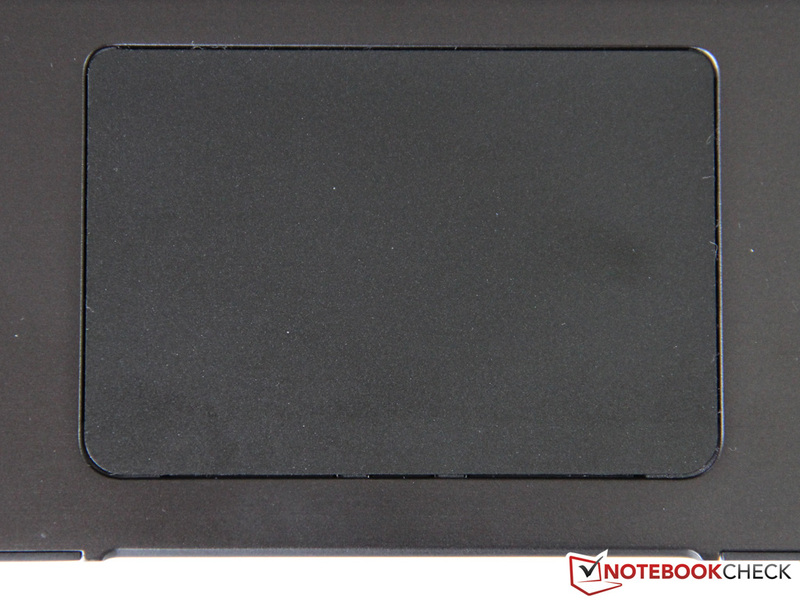 The manufacturer Synaptics supplies the touchpad for the Aspire S5, which with 97 x 67 mm is slightly larger than that of the older S3. The lightly roughened surface is pleasantly tactile and ensures minimal friction and an exceptionally precise cursor movement. Modern features such as configurable multi-touch gestures and palm sensing are of course on board. 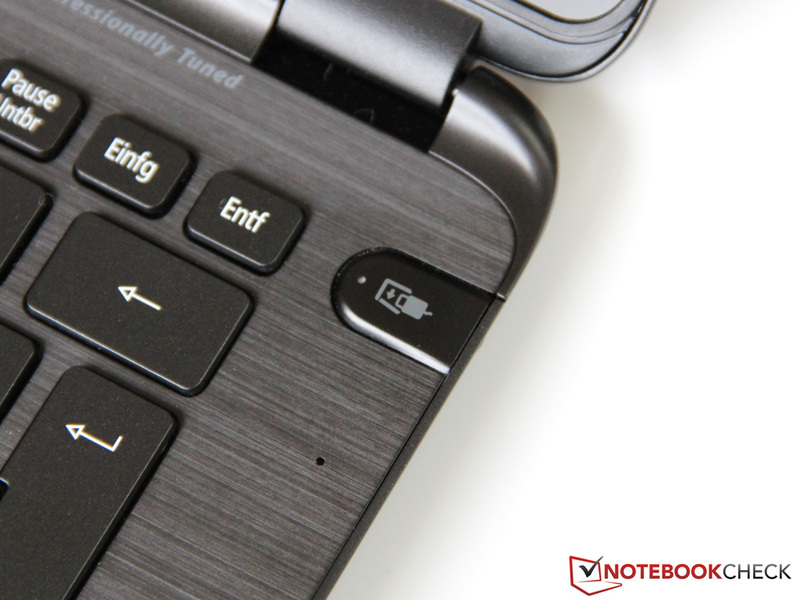 Following the current trend, similar to Asus UX31A or MacBook Air, the mouse buttons are integrated directly into the surface ("Clickpad"). Both keys have a firm pressure point and have a very slight drop, even at the edges. However: many users would prefer the classical layout with dedicated buttons. 1600x900 pixels in the Samsung 900X3B/C, even 1920x1080 in the Asus UX31A - the competition boasts high-resolution displays, while the screen of the Aspire S5 provides the meager 1366x768 pixels. With almost 118 dpi, writing and icons are still sufficiently smooth, but we would have liked some more working space on the desktop. With an ultrabook, the high-brightness display should be on the top of specification list, especially in the price range well over 1000 Euros (~$1294). Unfortunately this is not the case with our test unit: the LED backlight provides only 207 cd/m² in the middle of the screen; a result that even cheap office notebooks can achieve. Thus the Aspire is far behind the 400 cd/m² of the best rivals. 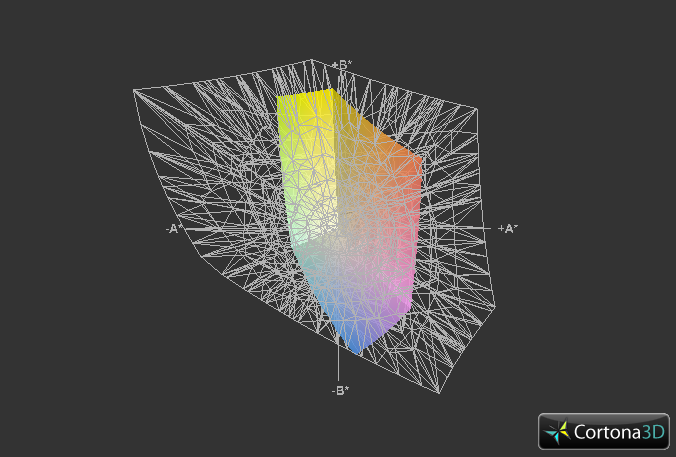 Our disappointment continues with the black level (1.5 cd/m²) and contrast ratio (147:1). The TN panel by AUO (B133XW01 V2) cannot compete in either area with a high-quality IPS or PLS screen. In practice, this is especially noticeable when watching movies or playing games, where the subjective image falls significantly behind the mentioned rivals. 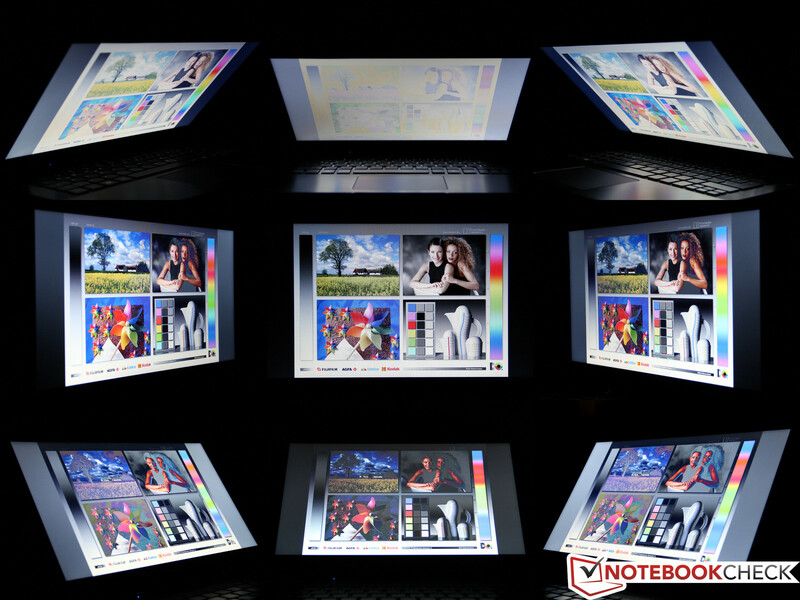 Even though the Aspire S5 was not designed for the professional graphic or image editor, we take a quick look at the color space reproduction. The sRGB was covered only at 50% - enough for the home user, all others should use an external monitor. 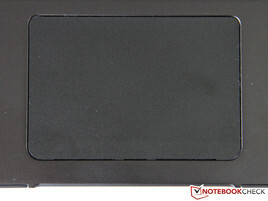 In addition to the low brightness, the reflective surface hinders the outdoor use of the notebook. 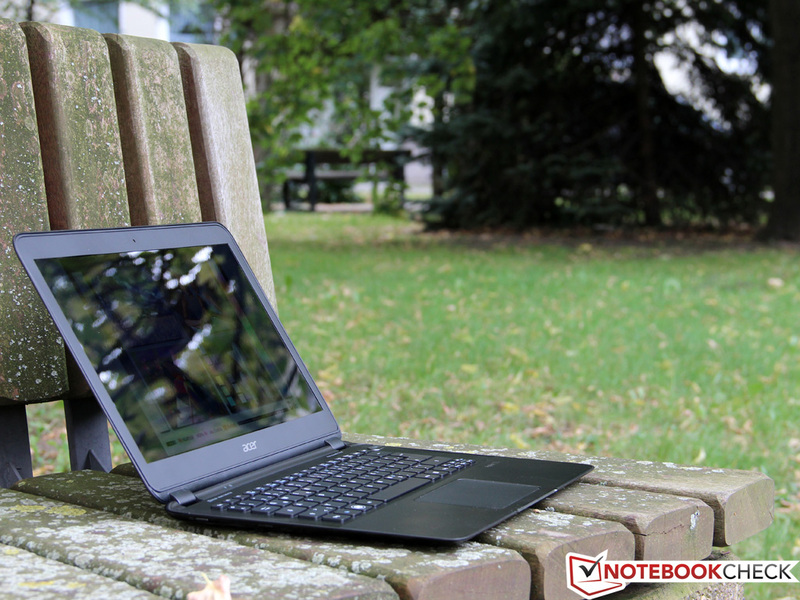 In short: the Aspire S5 is hardly suitable for outside use, especially in direct sunlight. This would have been fine with a mostly stationary desktop replacement, but in our case we have a significant limitation. The viewing angle stability is on the well-known level of an inexpensive entry-level model: the image remains unaltered only at absolutely straight forward viewing. Horizontal and especially vertical deviations are met with decreasing contrast and inverted colors. The competitors Asus and Samsung, even the TN panel of the MacBook Air 13, manage to do better here. 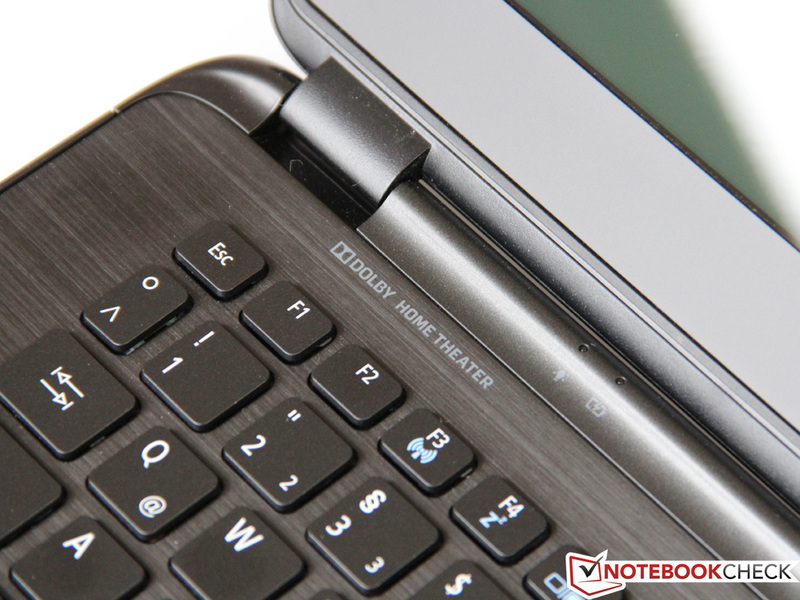 Let us forget the disappointing display and turn to the heart of the Aspire: it beats with 1.9 GHz (Turbo up to 3.0 GHz) and is, as with all current ultrabooks, from Intel's Ivy Bridge generation. The Core i7-3517U is currently the second fastest ULV processor with a TDP of 17 W, which is the difference to regular dual-core models. In addition to the well known Hyper Threading technology, the processor supports a number of other modern features, more about which you can read in our database. Since last year's Sandy Bridge generation, all of Intel's mobile processor now feature an integrated graphics card, in this case the fastest version HD Graphics 4000. 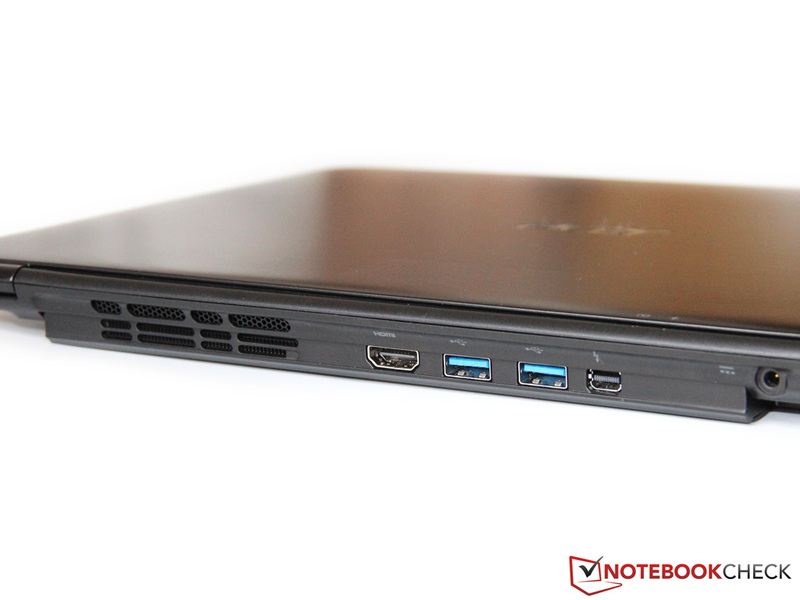 Unlike the Asus UX32VD for example, an additional dedicated graphics card is not available. In addition to the Core i7 are 4 GB of RAM, which serve as both system and video memory. 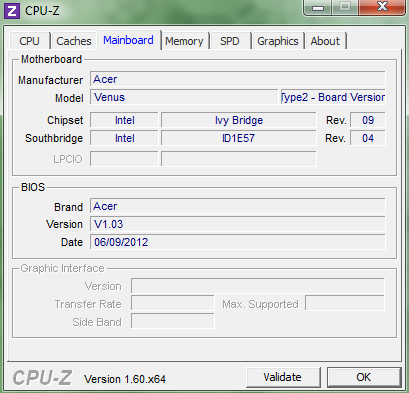 With only 666 MHz (DDR3-1333), Acer does not fully reach the 800 MHz (DDR3-1600) promised by the manufacturer, but at least provides for a dual-channel connectivity. The operating system and other user data are located on the 256 GB flash memory. We next take a look at the single-thread benchmarks, such as the Cinebench R10 (64 Bit) tests, where the Core i7-3517U should excel thanks to the Turbo Boost frequency of 3.0 GHz. 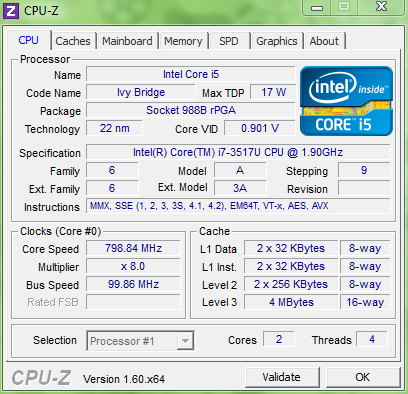 5052 points is on par with the popular 35 W CPU i5-3210M - very impressive for a low-voltage model. 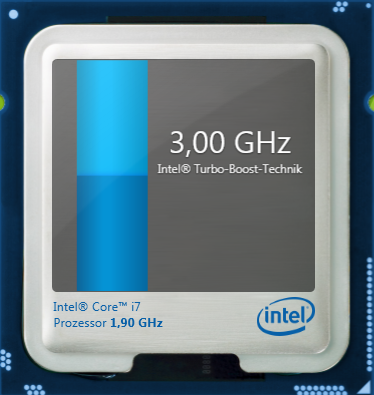 Thus the i7 has about 15% lead on the cheaper i5-3317U. 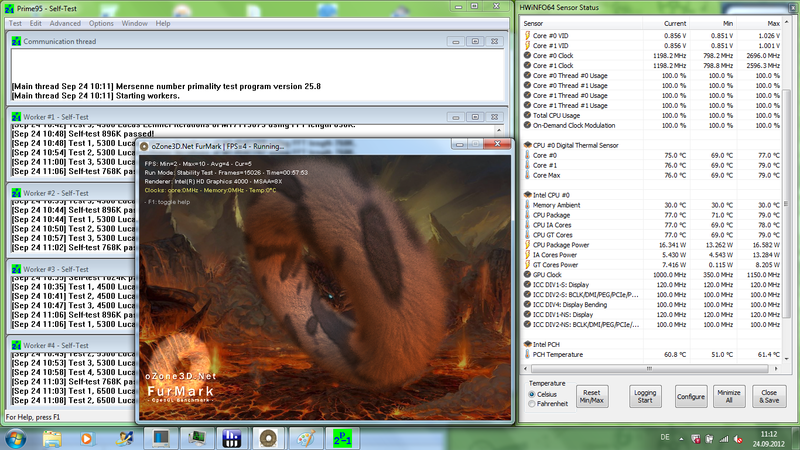 Somewhat different is the case when we fully utilize both cores with the Cinebench R11.5. Theoretically, the maximum frequency here should be 2.8 GHz, which the Aspire can hold for only the first couple of seconds of the test. 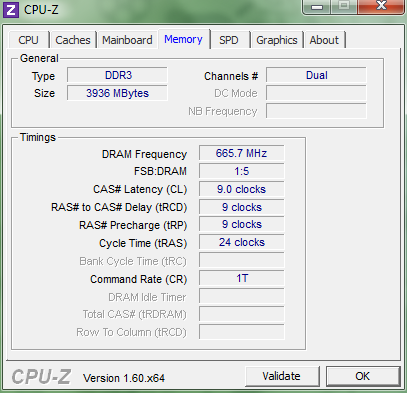 Then it drops momentarily to 1.0 GHz, just to vary between 2.3 and 2.6 GHz for the rest of the test. The result of 2.51 points is about 10% below the potential of the CPU - no earth-shattering difference, but it does take away from the value of the high-priced Core i7. 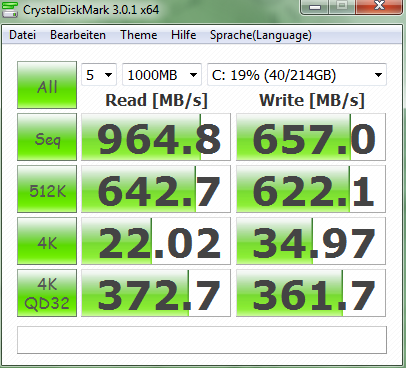 Previous tests with the same CPU in the Dell XPS 14 and the Acer Aspire M5 showed no such problem. Fast, faster, SSD - you would think this is the end of the line? Wrong! Acer combines two of these drives each with 128 GB capacity in a fast RAID 0 array with double the storage space. 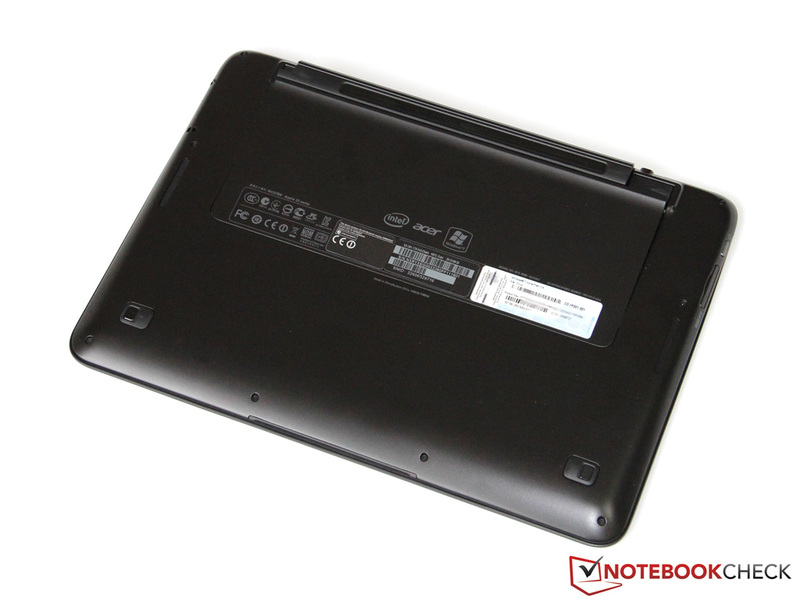 We already know of similar notebooks, such as the Sony Vaio SV-S13A1Z9E, which uses Samsung SSDs. In the Aspire S5 work two drives by Lite On, which have the cryptic name CMT-128L3M. Detailed information is hard to find; the two SSDs probably use a Marvell controller, which allows for SATA III connection to the system. Ultimately, the customer will be interested in the performance - and there's lots of it: depending on the software, the reached sequential write rate was 600 MB/s, the read rate was even almost 1000 MB/s. In principle, the transfer rate of smaller data will be somewhat slower, but still at the level of the fastest competitors. After such results, it is no surprise that the Aspire S5 is at the top of current ultrabooks in terms of system performance. In PCMark Vantage (12611 points) our test candidate is beaten by only a couple of mostly high-end notebooks, and in PCMark 7 (5949 points) it even sets a new record. Even if the results of the synthetic PCMark series of benchmarks should be viewed with caution, the basic tendency is directly applicable in practice. Even with demanding software, multitasking, or large data transfer there are no hiccups in the system. We hardly missed a faster - so far there is none in the 17 W class - quad-core processor, but a bit more system memory was desirable. Since we are already familiar with the technical data of the HD Graphics 4000, we do not want to waste too many words here: 16 so-called Execution Units, clocked at 350 MHz (Turbo up to 1150 MHz), provide for a performance on the level of some dedicated entry-level models. DirectX 11 is supported by the HD 4000 as well as the hardware acceleration of most popular video codecs, in addition to which Quick Sync is available as a powerful hardware encoder. While the result in 3DMark 11 is on the expected level with 610 points, the scores in 3DMark 06 (4238 points) and 3DMark Vantage (2175 points) are somewhat below the hardware's potential. 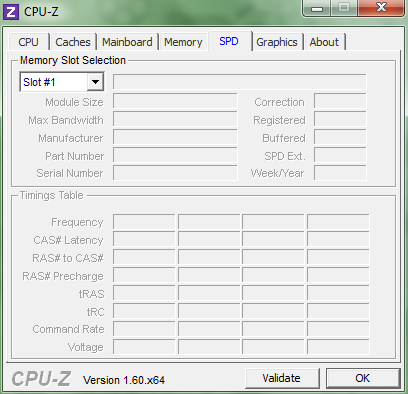 The reason is, as with some of the CPU benchmarks above, the moderate utilization of the Turbo Boost capacity. In order to test to what extent this will impact the performance in practice we used a couple of 3D games. 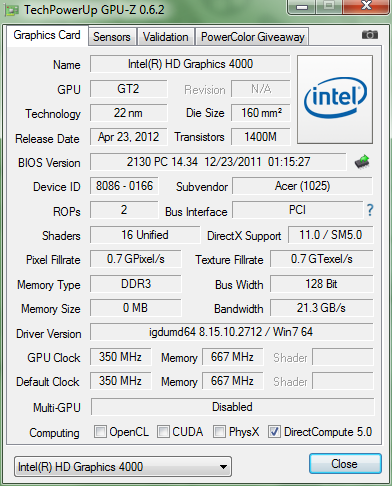 Here too we see that the maximum frequency of the GPU is well below its maximum (1150 MHz). In Battlefield 3 the clock frequency was around 800 MHz, which resulted even with our lowest settings (1024x768 pixels, minimum details) in unplayable 14.9 fps. 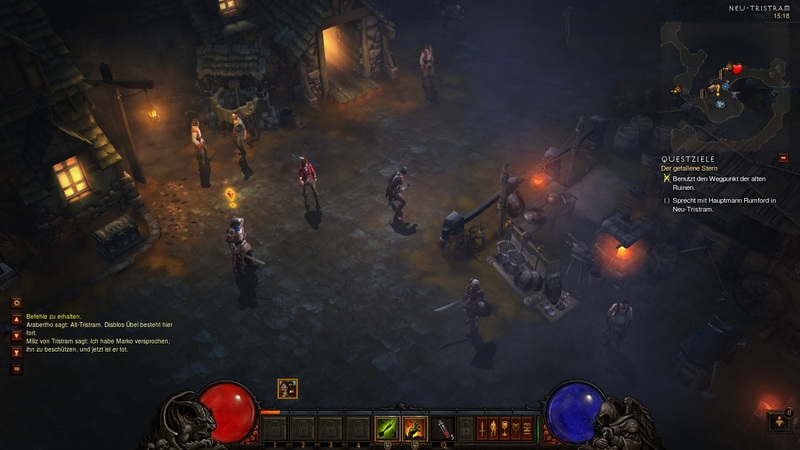 It seems that Acer starts limiting the Turbo of Intel's chip shortly before reaching the TDP limit of 17 W.
Slightly less demanding games such as Deus Ex, Diablo 3 or Anno 2070, on the other hand seem to run smoothly at similar details - casual gamers may be satisfied with the performance of the HD 4000. A properly satisfying performance is not offered by many current ultrabooks, the already mentioned Asus UX32VD with a dedicated Nvidia chip (GT 620M, 50 to 100% faster) being a possible alternative. In idle and light office applications using the energy saving profile, the Aspire's cooling system works mostly passive, which in combination with the SSD hard drive makes for a completely silent system (29.6 dB(A)). However, even small load peaks - for example a background process or loading a large website - make the fan turn on and whisper at 32 to 34 dB(A). 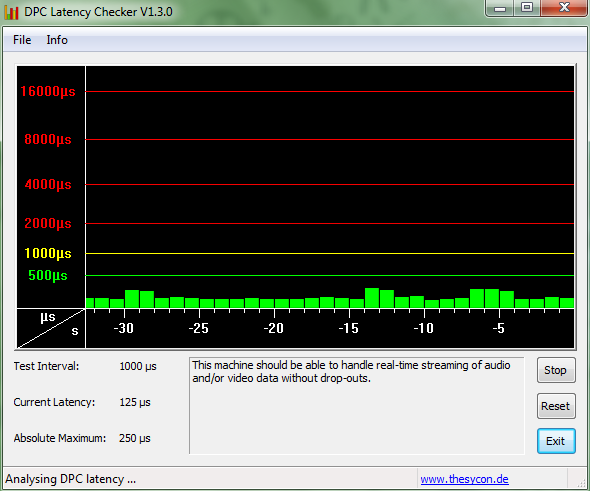 This is not really loud, but still, some rivals like the Asus UX31A work a couple of dB quieter. This difference grows further under load. Games or CPU heavy applications turn up the volume after a couple of minutes up to 41.6 dB(A). We would describe the noise as high-frequency, but an absolute constant, so not annoying. At higher temperatures it is not possible to retract the interface panel; as we previously described, the panel serves for cooling purposes as well. Thanks to the ULV components, the case heats up only slightly in everyday use. In idle, neither the top nor the bottom reaches the 30 oC mark. 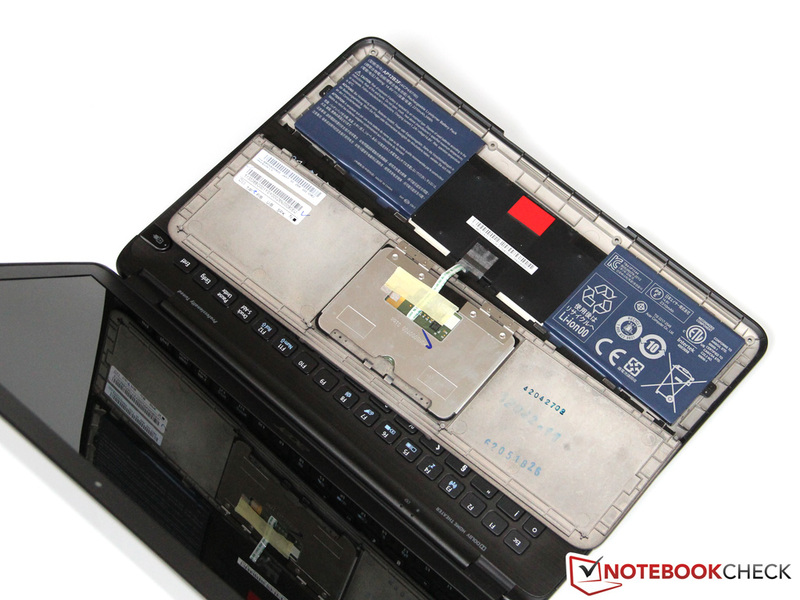 For browsing or watching videos, the ultrabook is safe to use on the lap, thanks to the construction of the cooling system: the bottom plate does not have any vents that could be blocked. In contrast to most rivals, the case remains relatively cool even under full load. We measured 27 oC in the area of the palm rests and about 33 oC in the middle of the keyboard. Only in the area of the air vent exists a spatially limited hotspot reaching almost 50 oC, which in practice could easily be avoided. The user shouldn't worry about the well-being of the hardware either: after an hour of our stress test with Prime95 and FurMark, the Core i7 showed a core temperature of 75 oC, which leaves enough reserves even for hot summers. Unfortunately, the Aspire S5 suffers from throttling: more than 1.2 GHz CPU and 1.0 GHz GPU frequencies are not possible in continuous operation (TDP limit). Since we have seen significantly higher clock frequencies in other ultrabooks, it seems that our test unit has come with a rather "bad" CPU with stray current - normal deviations, which exist with every chip manufacturer. We are used to the boastings of the manufacturers, thus our expectations were low, despite the "Dolby Home Theater" label above the keyboard, and indeed: the two speakers of the Aspire S5 do not offer more than just an average good level. Even after some tweaking in the pre-installed equalizer the sound remained flat and without bass. The clear highs and proper maximum volume cannot hide the fact that even a pair of cheap external speakers or headphones can produce a significantly better sound. The signal quality of the output jack (3.5 mm) left us with a subjectively convincing impression. 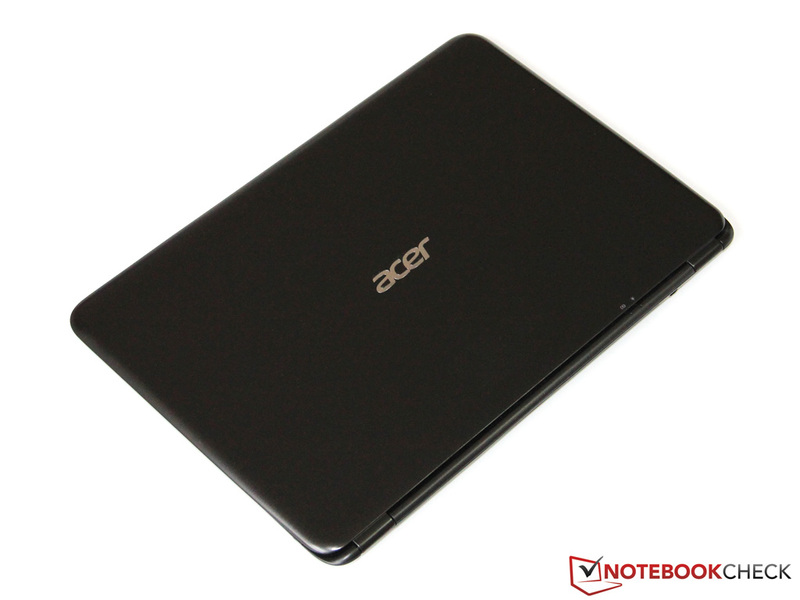 Just 4.5 to 6.5 W in idle make the Aspire S5 one of the most energy efficient ultrabooks. Here we must note that the low maximum brightness of the display has a significant impact on these values. 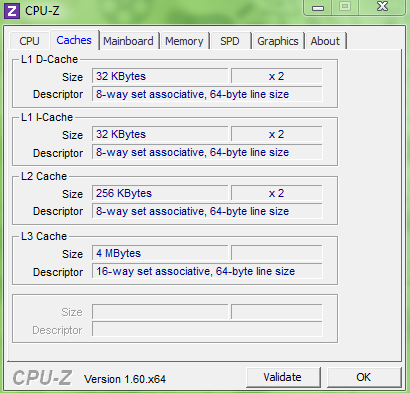 Under load, primarily the CPU carries the bulk of the power consumption. A maximum of almost 34 W was measured, which is standard of this class. 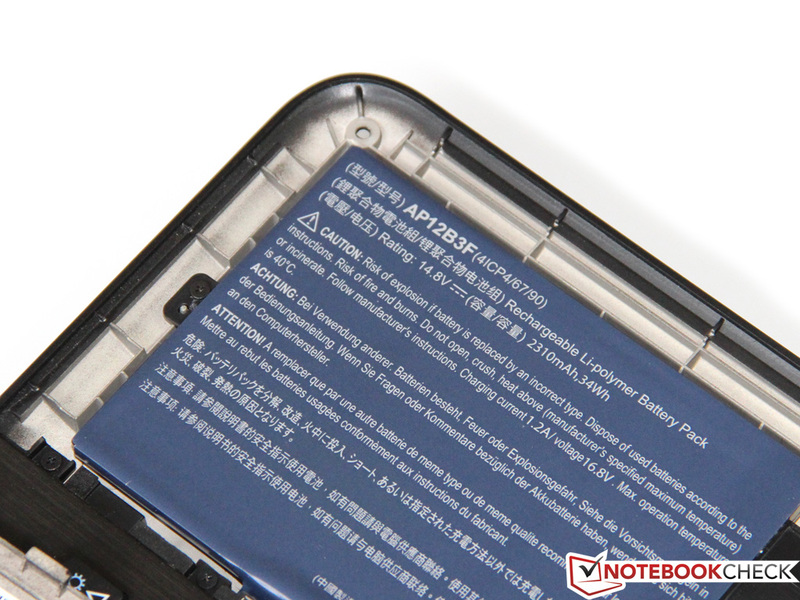 Since Acer supplies an oversized 65 W power supply, the battery can easily be charged during operation (see the section below). 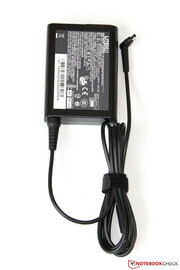 In contrast to the power supply, the manufacturer has been stingy with the battery: the integrated one only has 34 Wh. Compared to the MacBook Air 13 and the Asus UX31A, both of which offer about 50 Wh, this a disadvantage that should not be underestimated. 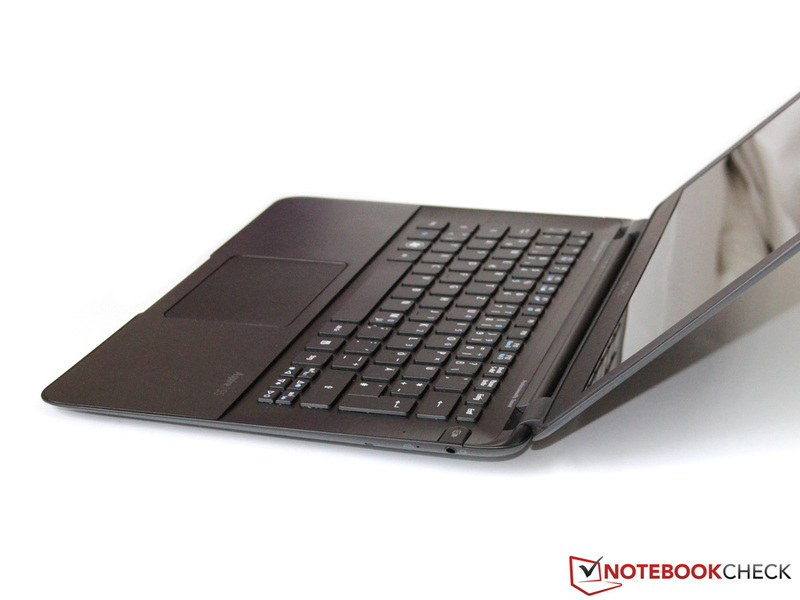 All the more surprising is the runtime the Aspire S5 achieves, despite this shortcoming. In Battery Eater Reader's test (energy saving profile, wireless modules off, minimum brightness) we managed to beat the manufacturer's 6.5 hours and reach an impressive time of 7 hours and 22 minutes. In practice these values are unrealistic, but even with WLAN on and moderate brightness (about 150 cd/m2) the notebook managed 4 hours and 39 minutes. The disadvantage of the small battery is thus almost completely countered by the particularly high energy efficiency. With the Battery Eater Classic test (high performance profile, wireless modules on, maximum brightness) we simulated the minimum runtime under full load. Energy saving features have little impact and the runtime of 68 minutes is not surprising. For a complete charge the user should plan about 2 full hours. 1500 Euros (~$1927) for a 1200 g notebook: the price of the Acer Aspire S5 is high-end, but does this apply to the quality as well? Compared to the cheaper Aspire S3 we notice significant progress in many places: instead of the plastic we have stable and high-quality light metals, which we already know from other rivals. 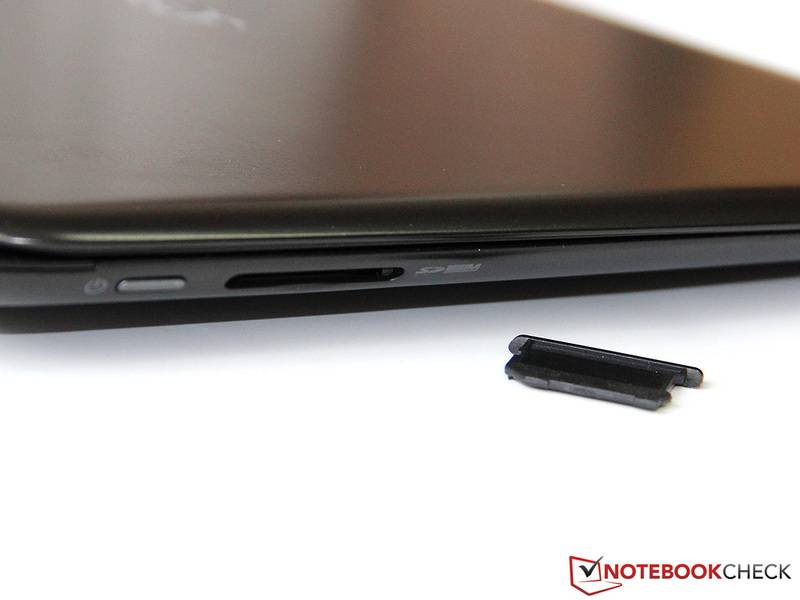 Thanks to the clever, retractable interface construction, the ultrabook is among the thinnest devices. The Aspire scored further bonus points with its high application performance, even though it is somewhat diminished by the throttling under full load and limited Turbo Boost. A special highlight in addition to the Core i7 processor are the two SSD drives, which have record-breaking transfer rates and provide for a real thrill of speed. Unfortunately, the Aspire S5 fails in other disciplines. 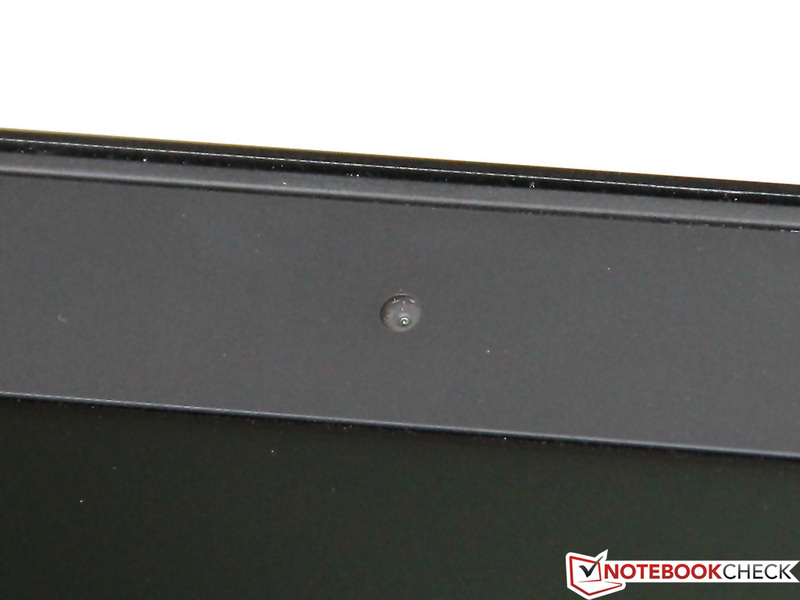 Above all, the display diminishes the overall impression of the notebook: the screen is practically unusable outdoors; the contrast and viewing angle stability would be more of a fit for an entry-level model. Such a shame the user can only make limited use of the good battery life. "The better is the enemy of the good." This principle is our test candidate's undoing. 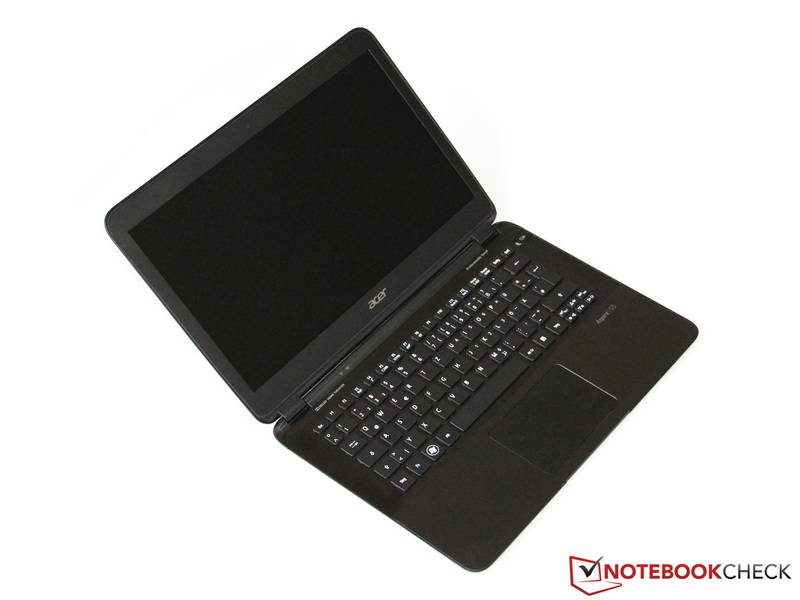 The Aspire S5 is a good ultrabook, but rivals such as the Asus UX31A simply make things a bit better. This is true not only for the display, but also for the chassis quality, the keyboard, and the noise level. Apart from the MacBook Air almost no other model offers a Thunderbolt port, but the other points are better (in some case even cheaper!) with the rivals. In the frame we find the 1.3 megapixel webcam. but the speakers lack bass and volume. 65 W delivers the power supply, nearly double the maximum consumption. 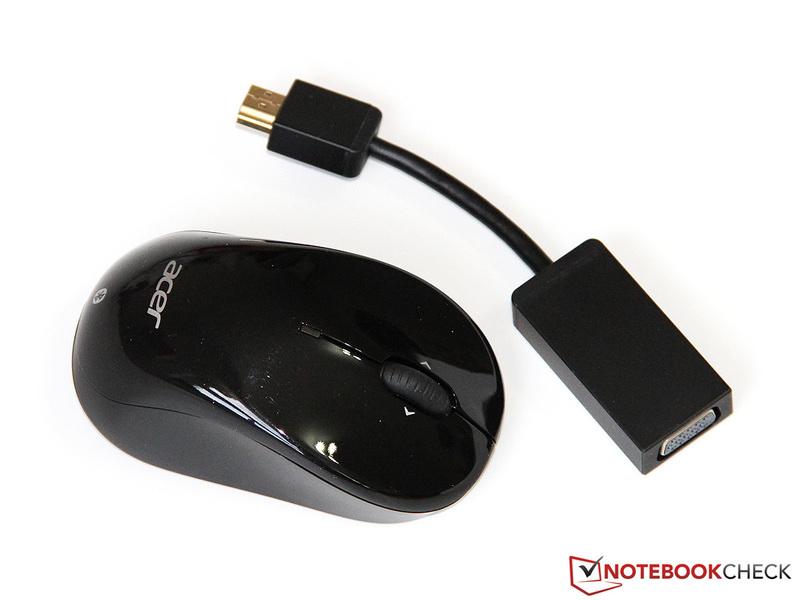 Acer has included a wireless mouse and a VGA adapter. the palm rest can be lifted. The 34 Wh battery can last about 4 hours in everyday use. The display can be opened at a maximum of 140 degrees. The card reader is located on the left side. now comes the luxury model Aspire S5. is made of metal such as aluminum and magnesium. Shiny matte black dominates the look. 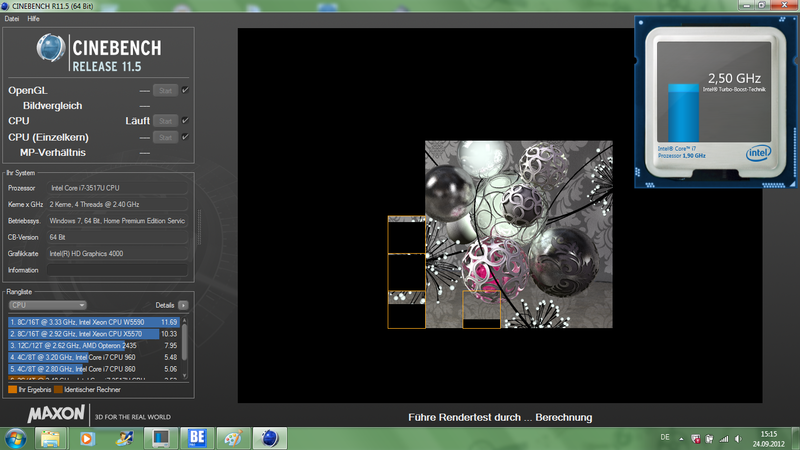 which reveals the hidden interfaces. The manufacturer has even included a Thunderbolt port. Unfortunately, the display is so reflective that the use is limited to indoor. 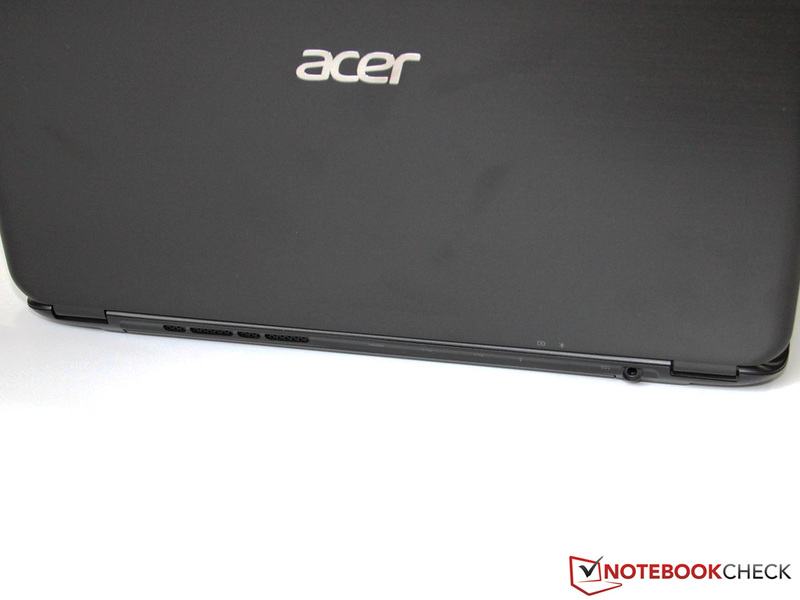 Light, strong, and very thin: Acer has done well in terms of the case. This is possible among other things thanks to the Flip I/O feature, with which the manufacturer has demonstrated innovation. Given its long battery life, the Aspire S5 could have been the perfect mobile companion - could, because the weak display gets in the way. Dark, with low contrast and narrow viewing angles, and reflective - a bitter disappointment for an ultrabook in this price range. We were especially surprised by the huge performance of the SSD array, which makes many workstations look old. In everyday use, a single SSD would not be noticeably slower. 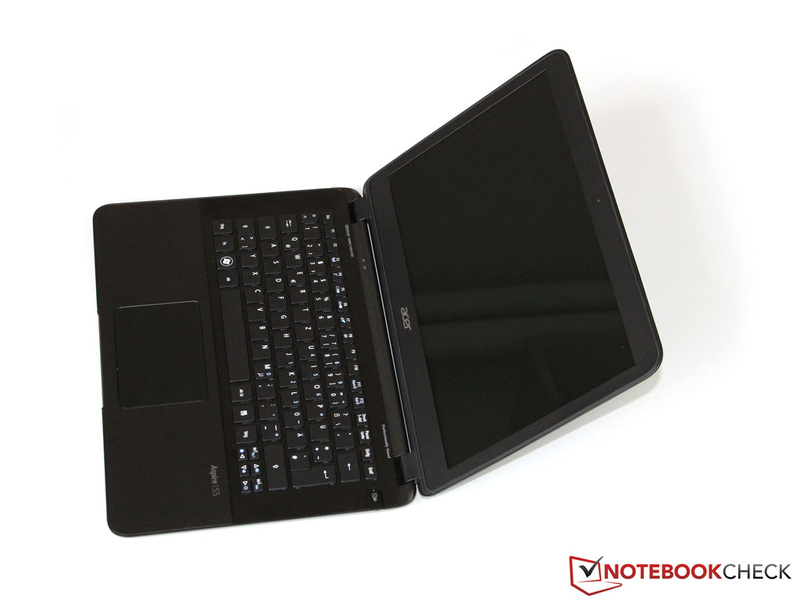 The Aspire's rivals are other high-end ultrabooks such as the Asus UX31A, the Apple MacBook Air 13, the Dell XPS 13 and the Samsung 900X3B/900X3C.